it’s really odd to me how many of you, armed with your totally unscientific anecdotal stories, are just poo-pooing the advice given here. do you all really think your 1-3 experiences with cats give you greater knowledge then scientists that study this stuff for a living and use 100’s of cats to test? just because your cat likes “rotisserie chicken” doesn’t mean you should feed it to her all the time. These devices sound great but any animal health/welfare individual or group SHOULD be advocating moist, meat based food for cats. As far as I can tell, there is only one ‘dry’ food available in the United States that comes close to being biologically appropriate. 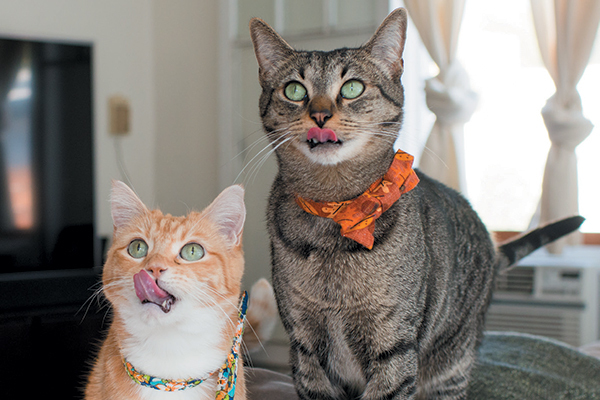 Even still, a dry food is simply not a good choice for cats; especially males. There is some very nice All natural organic moist or dry cat foods all over Iowa now. In Grocery store chains, online, pretty much all around. Can buy in refrigerator section in a tube for cats, it’s a “realmeal” . I’m sorry you have such trouble finding it. My problem isn’t that, mine is that I have too many cats and can’t afford amazing food. As much as I would live to! Unlike dogs the cat biology has not changed much by domestication. They are full carnivores, and will do best when fed a biologically correct diet. Which is meat, ideally raw, otherwise a high meat protein canned/wet food. 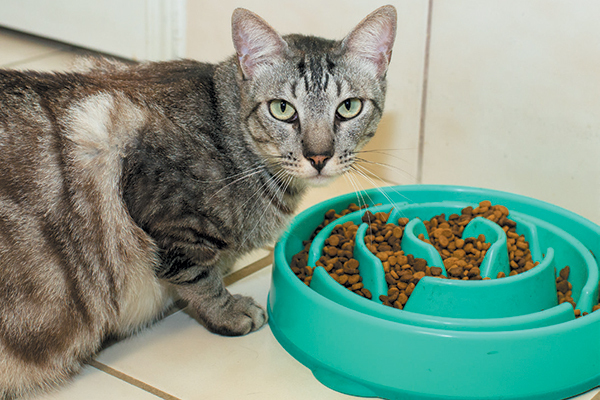 Kibble is highly processed and lacks moisture, it is the leading cause why so many cats are being rushed to the vet, kibble should never be a main meal. Cats are full carnivores and will need a meat based diet. A LOT of the ‘food’ in stores, isn’t biologically correct, let alone of good quality. Opt to feed a raw diet or a primarily wet diet. 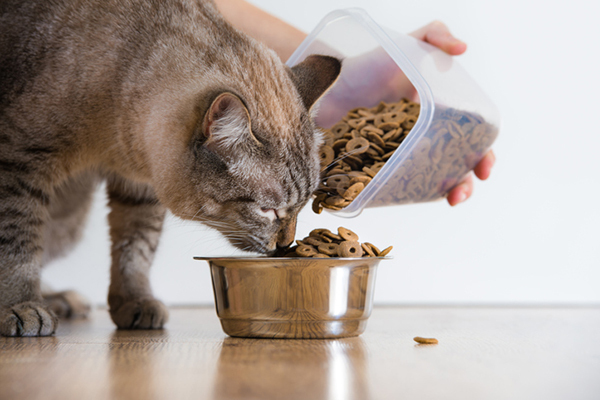 Raw feeding has become easier with brands adding dehydrated versions to the market, LIKE STELLA and Chewy, primal, and honest kitchen, as well as wet foods such as Fresh Pet Select or quality canned foods like Pride, instinct, Weruva etc. 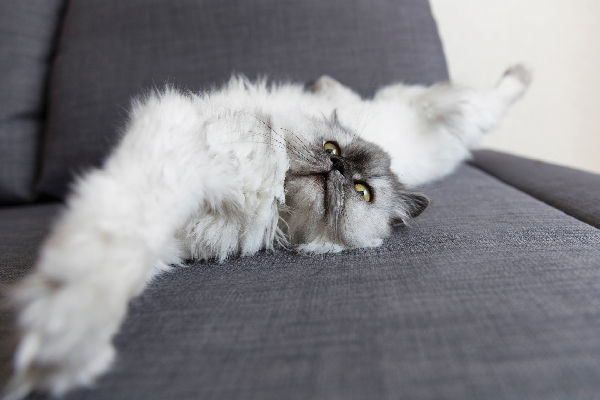 The reason pets are getting overweight is not just due lack of exercise, but also become a lot of this processed food contains sugars, rice and other un-necessarily, cheap fillings. ALWAYS AVOID any food with meat by product, it’s a very easy way to tell is something is low end and ‘toxic’ If you do want a kibble opt for some quality brands like Acana, Orijen, Young Again. Feeding low quality foods WILL lead to health problems, peeing or pooping next to the box, yowling, sleeping more, excess water consumption, are good signs of something wrong. RAW diets can cure ailments, if properly made, homemade or store bought. I ‘m turning an outside cat into an inside cat. I put down all the food I kept outside for him and am gradually taking away different ones. He is cooperating and I should have him down soon to a little wet and dry food twice a day. I would like to share on how I got my cat to eat after a part of my home was remodeled, as she wouldn’t eat. I had to engage her in eating. Typically, I feed her two meals a day. I moved her food and water on the kitchen table from the floor, and I sat with her and coaxed and praised her for even eating a little at first. This took about 2-3 months, as she gradually returned to herself. Yay, for that! Any suggestions for my problem? I have a cat named Lilli that gobbles up all the food we provide her and I have another cat named Charlie that likes to nibble some here and some there. If I leave Charlie’s leftover food out, then Lilli comes along and eats it all. This leaves Lilli fat and happy and Charlie slim and hungry. Has anyone found a solution to a scenario like this? So are there any puzzle toys for wet food? FELINES include lions, tigers, panthers, cheetahs, cats, leopards, pumas, etc. All of these animals belong to the FELINE family. Cats are cats. They are not lions or any other wild feline. 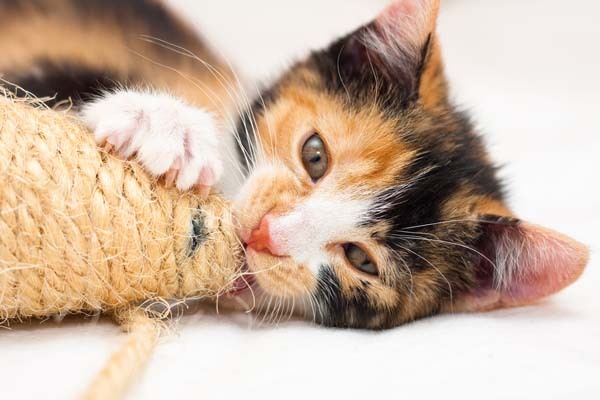 Looking back in ancient times, cats were domestic pets. In Egypt, cats were cared and protected by people under their own beliefs. Cats have never been part of wilderness. They have always been domestic felines. It has been found that hunting is not an instinct to cats. Some kittens never learn how to hunt and eventually die without knowing how to survive. Outdoor cats are always starving. They never eat enough or drink enough. One of the reasons cats don’t live a long life outdoors. They starve, they are at risk of getting poisoned, catching deadly diseases, becoming ill, getting hit by car, becoming victims of cruel acts and treatments by humans and so much more. Don’t make Cats fall into the same category as a lion. They are related in looks, expressions and habits. Cats are domestic cats. 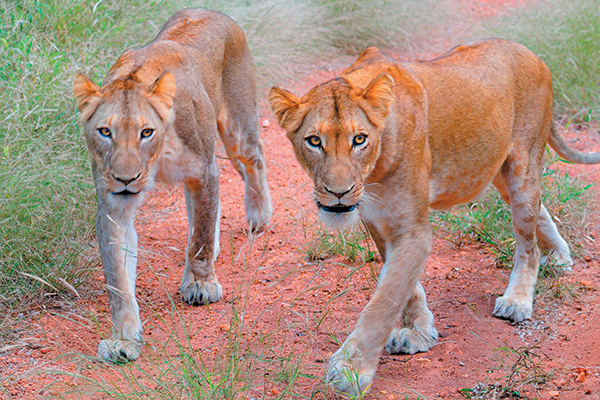 Lions are wild felines. They could never be domesticated. Feral or stray cats have had no choice but to live outdoors and find a way to survive. Irresponsible humans who let one unneutered domestic cat outside, allowed the species to multiply and over populate every single space in this world. Then, people like myself have to fight against all the cruelty against these cats and just about all the animals in the world. 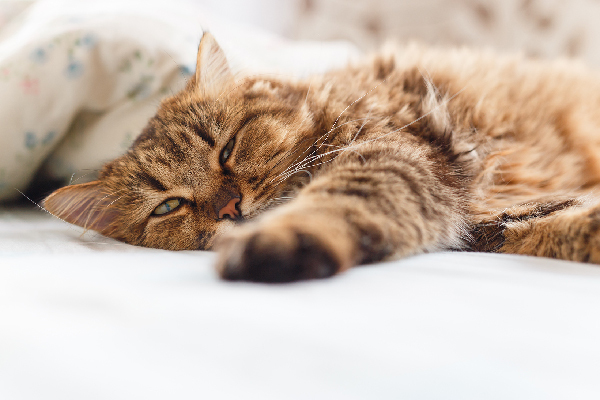 “Outdoor cats rest or sleep a lot”( quoting) By nature, cats do sleep a lot. Outdoor cats don’t do this so much. They have to work very hard to find food. And every day, it’s uncertain and if they will be able to find something to eat. Rethink your article CATSTER. CATS are domestic felines. Lions are felines as well, but wild felines. They hunt, kill to eat because is their instinct. You need to do a bit more research on the evolution of the domestic cat. Neither cats nor dogs began as domestic animals. Domestication of cats took many, many centuries & only because cats were at some point willing. I’d like to know your source regarding the hunting instinct in cats. 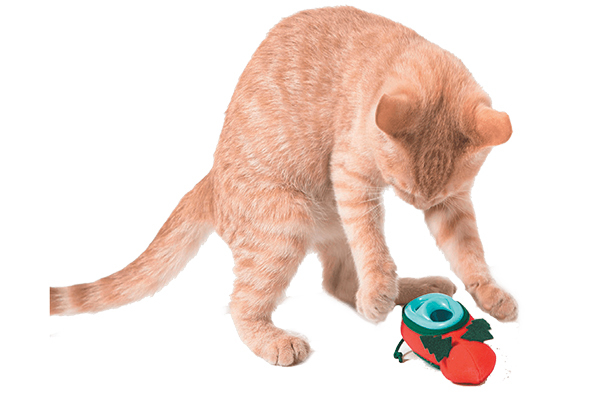 Many people are concerned because even well nourished cats chase, kill and eat rodents & birds. 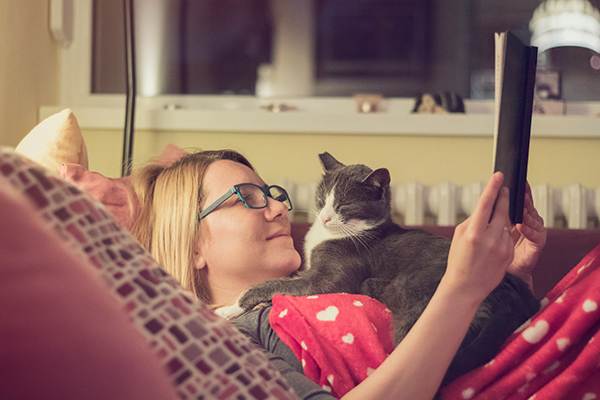 I’m sure your library has a copy of Cat Sense by John Bradshaw, a well researched book that follows the cat from wildness to domesticity – even mentions the ancient Egyptions. I’ve read also that cats don’t like their water next to their food. In the wild, cats don’t drink water where they can smell food as it may be contaminated. Maybe that’s why so many cats don’t drink enough. When I moved my two cats water bowl away from their food bowls they did start drinking more. I also give them filtered water (not bottled) and I think that helps, too. They certainly don’t need a bunch of chemicals building up in their little kidneys. I also poach two chicken thighs in water once a week – simmer until the meat is like velvet and the broth is rich and chickeny. Makes a great treat and they lap up all the broth. I am turning an outside cat into an inside cat. I put down all the food I kept outside for him and am gradually taking away different ones. He is cooperating and I should have him down soon to a little wet and dry food twice a day. He is sleeping more and not as fixated on food as he was. Yes, we do it wrong by feeding commercial crap punted by these big money making companies. Cats should be fed a species appropriate diet, not kibble, and not the crap punted in tins and pouches. This is where we go wrong by buying into commercial foods. I have regular times for them to eat and weigh out an appropriate quantity for each. I pick up leftovers if any. They are having a science diet (I probably can’t name the Brand). It’s a dry food. You can get oral and hair ball and other specific styles. Apart from the occasional protein titbit, they get nothing else. They all love it. The vet is practically a stranger. When they get an annual checkup with their vaccinations, all get a big tick, all perfect teeth. One is 12 yrs, going on 2 yrs apparently. What extra you pay for this food you well and truly save in vet fees and insurance, to say nothing about their health. Perhaps you meant “exacerbating” instead of “exasperating” in the second paragraph? I still havent received my print version of my 2018 Catster magazine!!! Can someone please call me??? Hi Anne— Thank you for reaching out. We will look into this! Maybe edit out her contact info as a courtesy for her safety?